What’s New at the Zoo…m! 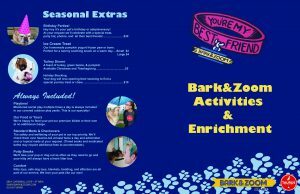 As we head into spring, we are thinking about new ways to enrich, entertain, and enhance our fur-covered guests at Bark&Zoom. 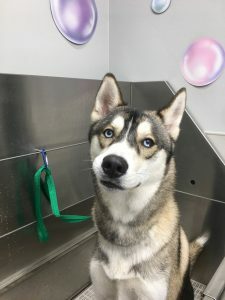 Our most popular activities for dogs have always been pool time and walks, but we wanted to do more, for all personality types and energy levels. Go to the Park with Bark…&Zoom! 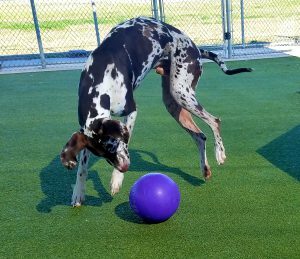 We have added an Ball Time for the ball obsessed and Tug Time for the super energetic! For the more cerebral dog, we’ve added Nosework as well as Trick Training and Puzzles. 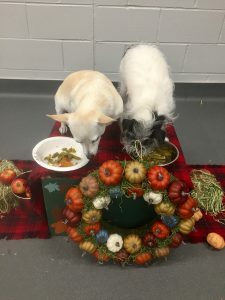 These activities engage, but also give dogs a sense of accomplishment; and have even been found to help reduce anxiety. 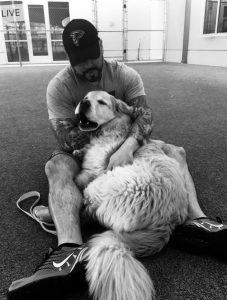 If you have a snuggler, you’re going to want to try Cuddle Time, which is just what it sounds like! And, in the near future, we will be also be performing Massages. These will be good for super athletic dogs who have played hard all day, as well as the snuggle bunnies, and the anxiety prone. Who doesn’t love a good massage?! In addition to these new Enrichment Activities, we’ve added new Grooming offerings and packages, and a whole new list of fun Seasonal Extras! 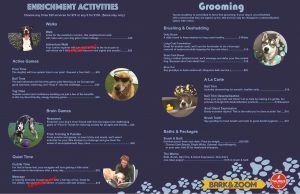 Here is the list of the new activities, packages, grooming items, and seasonal extras. 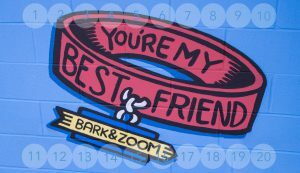 Visit the Bark&Zoom Pet Care Services page to see all that is offered, both new and original!